Boise, Meridian, Mountain Home, Treasure Valley, Twin Falls, Nampa, Sun Valley Portrait & Wedding Photography. Studio photography. Child, Maternity, Family, Senior, Boudoir photography. Every photo has a story...allow me to tell yours. While most photographers take pictures, I tell stories, here is mine. It all started when I was a little girl, I dreamt of my wedding day what seemed like every day. I had a collection of journals with ribbons, leaves and what was to become the blueprint of my big day. I became very familiar with the terms: sweetheart neckline, hydrangeas, and I swore I would walk down the isle to "Open Arms' by Journey! I was in love with love...I loved everyone and everything deeply! I loved lace, roses and diamonds...There was only one little thing missing-I had never EVER attended a wedding! In fact, the first wedding that I attended, I photographed! Can you guess what happened after? That's right. I was in love! I approach every wedding with the deepest respect for the true reason why there is a 'wedding'...a marriage! The details you have meticulously selected will be documented as well as the people who will witness page one of your love story. That's who I am, a storyteller and I would be honored to tell your love story. AQ&Co. Studio is an award winning photographer in the town of Mountain Home, Idaho. We specialize in vanity fair studio portraiture and offer luxury heirloom products. 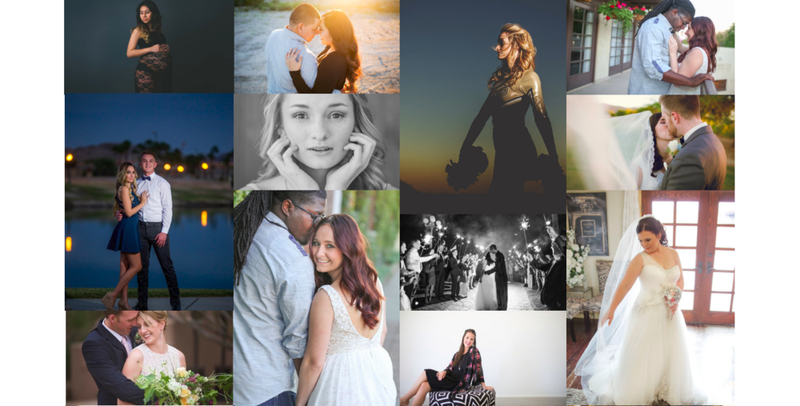 Our areas of specialty are corporate headshots and branding photography, wedding coverage, family photography, Maternity photography, Newborn Photography, Children photography, High School Senior Pictures, Senior Photography, Fine Art Portraits, Boudoir Photography. Editorial and vanity fair style portraits are an all inclusive experience. Styling, wardrobe, hair and makeup, consultations and reveal parties are all included. We will accompany you through every step of the portrait experience. From your dream photoshoot vision to hanging the portraits on your wall or designing a timeless album. We offer elopement photography packages and wedding photography packages and coverage for the Boise wedding photography, meridian wedding photographer, idaho wedding photography area. We regularly travel to Washington, Oregon, Nevada, Idaho, and Arizona. We are available for travel at no extra charge to Twin Falls wedding Photographer, Boise wedding Photographer, Meridian Wedding Photographer, Caldwell wedding photographer, Nampa wedding photographer or anywhere in the Treasure Valley for wedding photography coverage.